Are you looking for a Web host that can help you get up and running with your eyes closed? Bluehost may be the answer, offering a broad range of services from the basic to the advanced, that you can get the hang of within a matter of minutes. Read on to learn about Bluehost reviews, as well as its pros and cons. Bluehost Web hosting has been around since 1996 and has established itself as a reliable and long-standing force in the industry. With three core packages, plus VPS and dedicated hosting available to those with more substantial and technical hosting needs, this host offers a full service, designed to be clean and simple to use. Offering the standard free year of domain registration and first-term discounts you'd expect from most hosts, Bluehost’s optional backup options are a nice perk, keeping your site safe and accessible at no extra charge. Bluehost takes its technology very seriously, offering a wide range of hosting packages, options, and extras to suit all-comers, from first-time website builders with no technical experience, to experienced webmasters seeking advanced capabilities. Bluehost’s WordPress hosting integration makes it easy to build a site with the world’s most popular content management system, and Bluehost’s SSH functionality offers increased encryption and security for sensitive information. Whether you're a newly-minted blogger or a frustrated webmaster, you'll find a full complement of services to suit your requirements here. Bluehost offers a wide range of plans designed to support every user, from first-time bloggers to major enterprises. The three central plans, however, cater to beginners, regular bloggers, and SMBs respectively. All plans come with a free domain for a year and unlimited bandwidth. And if you already have a domain name purchased from a different registrar, Bluehost domain transfers are easy to initiate and confirm. This is BlueHost's most basic package, suitable for first-timers who are just dipping their toes into digital waters. Especially good for bloggers and individuals looking to set up a personal site, this option is much more limited than the other plans, offering 10GB of website space, 5 email accounts, and 50MB of email storage per email account. Bluehost email setup is a breeze, and if you want to run additional Web-based services with Bluehost, the Google Apps integration can open up a new world of possibilities. While the other plans entitle you to $200 worth of free ad credits, however, this option comes with just $50 and no serious security features. When you're ready for a bit of an upgrade, Bluehost’s most popular plan – Plus – is a good step up. Featuring $200 in free marketing offers, 100 email accounts and 100MB of storage, 100 GB of website space, 20 parked and 50 sub-domains – this is a fully rounded package suitable for small businesses and organizations with moderate needs. With Global CDN and SpamExpert included, this is a strong plan with plenty of room for users to grow an impressive, and active, online presence. If your goals are a little more ambitious, an extra $10 will give you access to Business Pro. Virtually unlimited in every respect and bundled with an SSL certificate, SiteBackup Pro, a dedicated IP address, and domain privacy, this is a package for business owners ready for some serious online growth. With VPS hosting ranging from $12.99 per month to $119.99 per month, and dedicated hosting options spanning from $149.99 to $249.99 depending on your choice of package, Bluehost offers high quality services to customers with more intensive demands and specialist requirements. There's a lot of technology under the hood at Bluehost (take note: this provider uses a Linux operating system) – and plenty of expertise to back it up. Virtual private server (VPS) hosting gives businesses their own operating system, controls, and flexibility. Dedicated hosting allows for a huge amount of power and space. Both Bluehost hosting types are readily available with a range of high-performance options. For users not looking for a major technical solution, there's still a lot going on behind the scenes on Bluehost’s nameservers, which might prove useful to you. Resource protection will safeguard your website's performance and minimize shared-server risks. It will also afford you access to controls that allow you to assign passwords to different areas of your account for extra security. Automatic backups in a range of formats will keep your creation safe and sound no matter what happens – all at no extra cost. The one crucial downside of Bluehost’s DNS (domain name servers) may be reliability. The host once offered a 99.9% uptime guarantee, but this is no longer available. Reviews and tests across the web's major hosts place BlueHost firmly in the middle of the pack when it comes to page-loading speed, but this is by no means the slowest service on the block. If you're not seeking bullet-proof uptime and can handle the odd few minutes of downtime, this really is a good all-around host. But if uptime is the most important factor to you, a money-back guarantee is offered anytime to users frustrated by infrequent downtime. You can even test drive the control panel with a helpful demo before you commit. While Bluehost offers some of the cheapest hosting plans amongst the major providers, the rates you see displayed on the homepage are discounted “first month” rates. Following your first month of use, Bluehost hosting plans will cost a few dollars more. VPS $29.99/Mo. $59.99/Mo. $89.99/Mo. $119.99/Mo. For many webmasters, ease-of-use is a huge factor when choosing a host. Unlike many hosting providers, Bluehost offers a behind-the-scenes demo of their control panel, which you can access through their website. 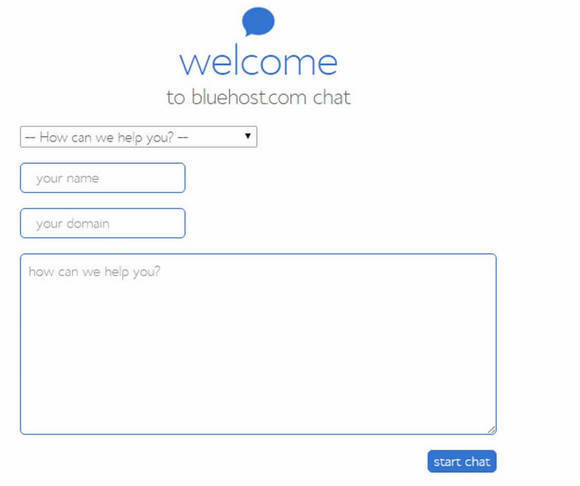 This will give you a good idea of what to expect with Bluehost domains and how everything works. When you give the demo a test drive, you'll find an easy-to-navigate system that feels intuitive and makes sense whatever your level of experience. Want to tweak the way your email works? Bluehost mail settings are a cinch to modify, and Bluehost SMTP defaults are also easy to change. It’s also simple with Bluehost to change primary domains at any time, so you can make sure you highest-priority domain receives preference. Clean and clear, it's easy to find the tools and services you need to manage your service here. Top marks. 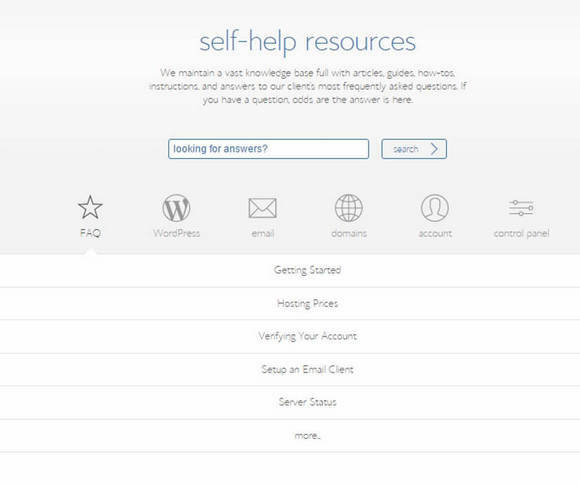 From website builders and CMS systems (including WordPress, Weebly, and concrete5), to SEO extras and e-commerce essentials (including WooCommerce and more - accessible via the MOJO Marketplace), there are a lot of tools and add-ons you can integrate into your Bluehost to give your website the style and the functionality you require. A few tools, including the Bluehost website builder, are free with your hosting package, but many others do require individual payment.. When you use the website builder, though, you find a bunch of Bluehost templates that are also free to use. For users especially keen to use WordPress, one-click installs and optimized hosting for the CMS system are available. Whether you're inexperienced and tentative about getting started, or want assistance with migrating your existing website, Bluehost offers unique $99.99 packages to assist you with both. Their migration package will help you seamlessly set up your current site with the provider, while the quick start package will give you one-to-one training from a Bluehost expert to show you the ropes and get you off on the right foot. Handy stuff. BlueHost has a very good customer support reputation. With an extensive and easy-to-understand “self help” section, 24/7 helplines, live chat, email and support ticket options all available, assistance is very accessible and often pretty good. If you’re interested in saving a buck with Bluehost, coupons aren’t all that hard to get ahold of. Bluehost discounts their offerings on a regular basis, especially for first-time users, and even if you just do a quick search for the company’s name, you’re bound to find a Bluehost promo code that’ll help slash your costs at checkout. It’s not only first-timers who get the money-saving offers, though. Bluehost renewal coupons are generally sent out to customers in the weeks or months leading up to one of their products’ expiration dates. But even if you don’t receive one of those emails, it’s still a snap to save some cash by searching for such codes or offers on any of the Internet’s most popular coupon aggregators. Although they say that nothing in life is free, this company actually does have a few products and services that if offers at no charge to qualifying customers. If, for instance, you operate a nonprofit organization, you may qualify for a Bluehost free hosting package. But if you run a for-profit enterprise, you can still take advantage of some other offerings at no charge, including a free Bluehost domain name with any hosting package. Sure, the complimentary domain name is just for the first year, but that will still save you a chunk of change that you can otherwise use to benefit your business. Experienced webmasters who are new to this company might find that the back-end of their websites look familiar because with Bluehost, cPanel software is included with all hosting packages by default. Though all hosting providers offer a control panel that allows users to manage their site, this company uses the official cPanel interface that hosts around the world have used since 1997. To access the dashboard for your site, just head to the Bluehost cPanel login and enter your account credentials. If you’re interested server options, Bluehost’s VPS hosting plans might be just what you’re looking for. With Bluehost VPS, you get to enjoy many of the advantages of dedicated servers, but without the high cost that generally accompanies such plans. And when you decide to run your website on a VPS, Bluehost allows you to install nearly any software program on the platform that keeps your website running. Virtual servers aren’t perfect, though, and since some of the hardware is shared with other users, performance may suffer from to time. That said, most Bluehost VPS reviews are favorable and applaud the company’s uptime. 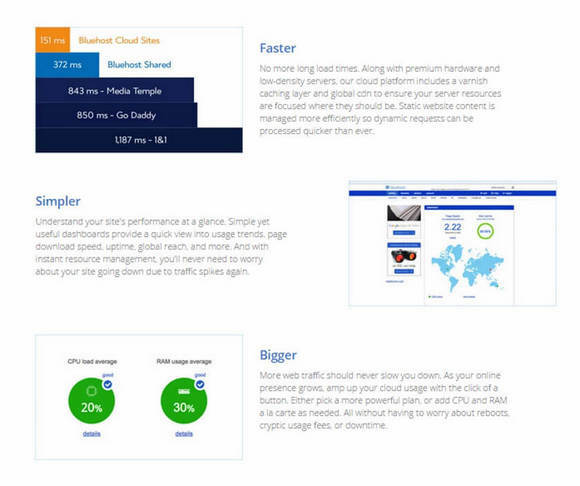 Bluehost’s shared hosting plans are the company’s most popular options by far. These types of plans are more affordable than dedicated or virtual servers because webmasters split the cost of both the hardware and maintenance. However, because no one website has exclusive access to the server, loading times may sometimes lag and security can be a bigger concern. However, for most business owners in need of good hosting, Bluehost’s shared plans are a great place to get started. If you operate a website that receives a high volume of traffic, a shared server may not be provide enough power for you. That’s when you want to consider a Bluehost dedicated server for your hosting needs. When you choose a server that’s dedicated, Bluehost gives you near complete control over every aspect of the hardware and how it operates. Dedicated servers are also more responsive than their shared counterparts because all of the system’s resources are committed to keeping just one site running smoothly. If you’ve got a website with complex needs, a dedicated server could solve all of your problems. As one of the most versatile and dynamic types of hosting options on the market, cloud hosting is very popular among new business owners. And with Bluehost, cloud hosting is provided through a partnership with CloudFlare, a company that delivers content via a network of servers that adjust to handle the ebbs and flows of your website’s traffic. Cloud hosting is more affordable than dedicated options, and in some cases can provide increased uptime. Webmasters on these types of servers, however, also have less control over the specific hardware and software that powers their site, meaning that cloud hosting might not be the best option for everyone. Email is easy to use when you choose this host, because of the company’s versatile options and intuitive inbox interface. For users who need to check their email from wherever they are, Bluehost webmail is accessible from any device with an Internet connection. 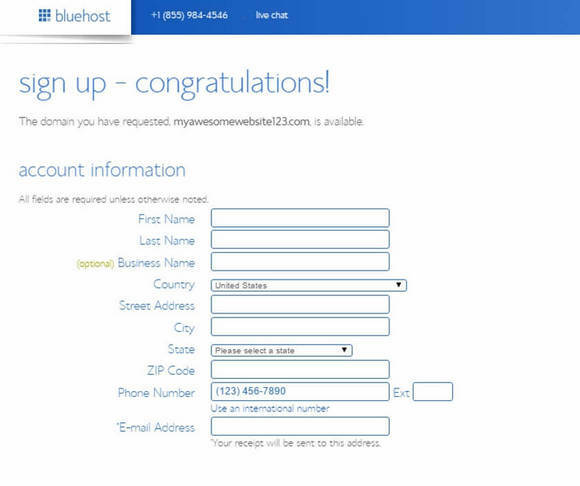 It’s as easy as just heading to the Bluehost login webmail and entering your username and password. But if you’d prefer to use an email client like Outlook or Mozilla Thunderbird, Bluehost IMAP settings make it simple to keep your messages in sync. Likewise, if you have another inbox that you regularly check, Bluehost email forwarding can be set up to direct all of your incoming messages to the email service of your choice. With good customer support, a blissfully simple cPanel, a great range of options to suit users of all stripes, and very cost-competitive options, Bluehost is a really strong competitor in the field of Web hosting and a great choice for most users. Downtime and page-load speeds are not always what they could be, but with flexible options and good feedback, it's easy to overlook this infrequent glitch if your site doesn't need to be super-fast. If you're looking for a good all-around host, Bluehost is a great option and offers a money-back guarantee if you're not happy. So why not give it a go? Pete is a digital strategist with 15 years of experience in media production and web project management, in PR and broadcast media environments. He’s the owner of "We Are Digital Vision," a Cardiff based digital communications consultancy the offer consultancy, content and design service.